INSURGENCE: Reclaiming the Gospel of the Kingdom is Frank’s new book! 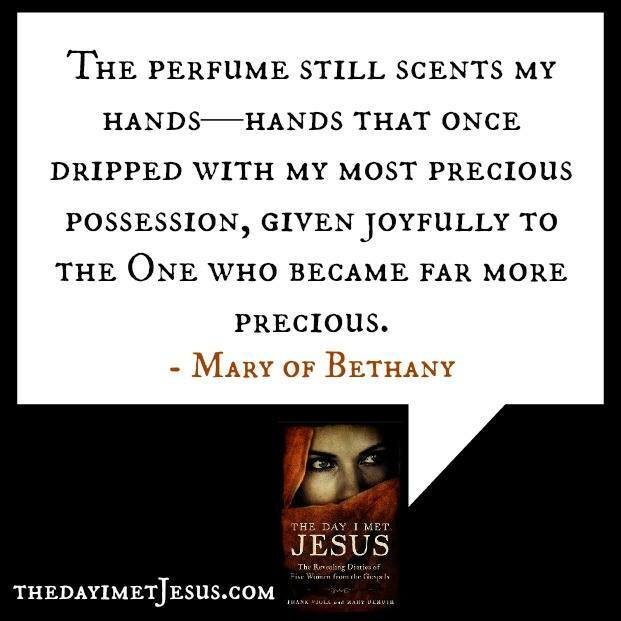 Frank Viola Author and Mary DeMuth Author have released THE DAY I MET JESUS. Frank Viola author’s complete biography can be read here. According to his blog – frankviola.org – Viola’s mission is to help serious followers of Jesus know their Lord more deeply, gain fresh perspectives on old or ignored subjects, and make the Bible come alive. Viola first began using his writing talent as a host for a discussion bulletin board in the early 1990s where he would post articles for questions and response. Before long, he became a published author and has since written over 10 published books. 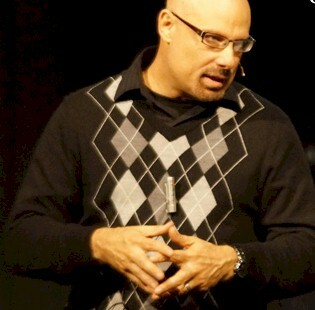 Knowledge and insight are central to his ministry, and when he is not writing books, he maintains a blog called “Beyond Evangelical.” In fact, blogging is a central part of his ministry today, as it allows him to freely share information and inspiration concerning interpersonal relationships and God. It is noteworthy that Frank Viola author did not receive any formal training from seminary or bible college, choosing instead to study as an autodidact. This lack of formal training does not discredit his work, however; he has garnered support from renowned academics and theologians, and productively debated with scholars in his field. In this way, Viola stands in the lineage of people like A.W. Tozer, Charles Spurgeon, and G. Campbell Morgan. Beyond Evangelical is not only one of the ebooks Viola has authored, but it is also the name of his main blog. In fact, the blog Beyond Evangelical is one of the most widely-read Christian blogs on the Internet. It was launched in 2008, and since it’s inception, Viola has authored over 800 unique, individual posts. While his published books focus on biblical exegesis, his blogging takes a more practical route. Much of it is considered scandalous in that it tips over many religions sacred cows. Beyond Evangelical is a blog that serves to guide believers in their search for God’s eternal purpose and a deeper, more meaningful Christian life. One article series, “Rethinking”, is particularly well read. FrankViola.org contains yet another blog that the author regularly maintains. Blogging is hugely important to Frank Viola for a number of reasons. As previously noted, blogging is a chance to share thoughts that are spur of the moment, or have a need to be spread out over several weeks. They also can stay relevant in reaction to news and other happenings throughout the Christian world. Frank Viola author also considers blogging a major part of his life, because he actually does not derive personal monetary benefit from his writings. Instead, he donates those earnings and proceeds to charities, or back into ministry for the betterment of the body of Christ. Because of this, the author has chosen to earn his income through blogging, through affiliates and advertisements on his site. Upon this rock I will build My church; and the gates of Hades will not overpower it. Imagine that a friend of yours buys a house in your neighborhood. He lives just down the street from you and you visit his house frequently. The house looks great to you. But then something happens one day that takes you back. Construction crews start showing up and launch an entire home remodel. This is surprising because your friend’s house was absolutely fine just the way it was, or so you thought. You watch fine cabinets be replaced with different ones, doors pulled out, and windows re-cut. You observe walls being shifted and floor paneling peeled back and put down differently. Why? Because, even though all that existing material was good, it wasn’t according to their ultimate vision of your friend’s idea for a house. So it really wasn’t useful. As the owner of the house, your friend didn’t care how good or decent something was—he was only interested in building according to his vision. And rightly so, because the house belongs to him. This story applies to the Christian life. If we read Scripture carefully, we discover that God has been working on a building project since before the foundation of the universe. And He is totally committed to completing it according to His heavenly vision or eternal purpose. As we discover more about God in Christ as a wise masterbuilder, we find this truth everywhere. Consider that the first and most important result of Christ’s ascension is the birth of the ekklesia. Mark tells us that after His ascension, Jesus “worked with” the apostles and “confirmed” the Word with signs (Mark 16:20). For what reason? To build His ekklesia on earth. The Lord Jesus builds His ekklesia by two means: (1) by calling some of His servants to plant His church and equip the saints, and (2) by endowing His people with spiritual giftings. In that connection, I’m often asked, “Do you believe in the fivefold ministry? And do you believe that God is restoring it today?” I’ll begin this chapter by answering those questions, because they have everything to do with how Jesus builds His ekklesia today. Please consider my remarks in the context of the story I told at the beginning, and the larger truths I’ve been presenting in this book. Our God isn’t so interested in remote and ideological doctrines that are more true than useful. He’s committed to a heavenly building plan, and He is working accordingly. Your Lord interested in functionality more than form. First off, my answer largely hinges on what one means by the “fivefold ministry.” In other words, what “fivefold ministry” are we talking about? Are we talking about the two-hundred-year-old doctrine of the restoration of the “fivefold ministry”? Or are we talking about the ascension gifts that Paul had in mind when he penned Ephesians 4:9–16?